Home &sol; Internet &sol; Blogging &sol; 10 WordPress Plugins Developers Can’t Live Without! Plugins are an integral part of web developer’s life, especially if they run their blog or website on the self-hosted WordPress platform. It is this ability to use plugins that makes WordPress a hot favourite platform for professionals. WordPress plugins are actually fragments of software that can be utilised to expand a website’s functionality. These make life easier for developers and ensure a beautiful performance oriented website. The plugin works as a social media scheduler and an editorial calendar combined into one. While the editorial calendar lets you to plan posts ahead of time, it is also possible to schedule social media promotions from the post editing window. This task can be accomplished in only 10 minutes! It saves a lot of time! This is a perfect tool if you are looking forward to rebuild a website from scratch or change the permalink structure. It lets you to create real 301 redirects and even keeps a log of all 404 Page Not Found errors on a website. With Redirection, you create redirects to valid pages straight from the log! The plugin promotes discussions between commenters. Your visitors simply require logging in to their account once. The best part is that they do not have to enter information such as their email, name, and website ever again. Most visitors do not like to leave a comment because they have to enter these things each time they require to. This plugin solves this problem and even allows readers to upload a photo of them which appears next to their comment. It feels easier to establish connection with people. Developing your 404 Page is better than using the default one. With this tool, you can develop a new page on your WordPress website. Thereafter, you simply require pointing the plugin to it. The tool is considered the best by most of the expert freelance web developers & designers as it facilitates the customisation of a part of website that most designers may not be able to even consider! This plugin is highly preferred by most of the developers. It is good for all of your contact forms. Since it is customizable, this helps a lot with creating forms based on the client’s specific needs. It comes integrated with an option of professional contact form. You can also have tons of add-ons, such as the ability to integrate it with Freshbooks, Mail chimp, Stripe, PayPal, and much more. Hence, the Gravity Forms are available for literally including order forms, simple contact forms and opt-in boxes. This is a paid plugin. Experts strongly recommend this plugin as the standard for measuring site analytics. It is also ranked as the best WordPress plugins available. 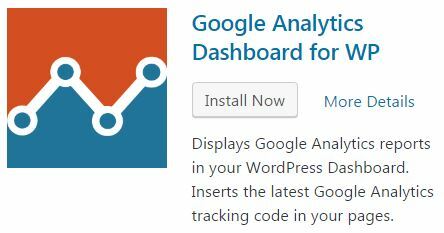 It will insert GA tags automatically and provides you with a nice widget so that you can have a look at your website stats in the WordPress Dashboard. With this plugin, you can easily link in the admin panel for each post and page. This helps you get the view of reports required without delay. If you wish that all pictures come out to be of similar size, this plugin really helps! It facilitates your blog posts a neater and more professional appearance, especially with all images of the same width. With Image Resize Wizz, you can choose a specific size for your pictures. The plugin will shrink them aptly in no time. This plugin automatically tweets out posts from the archives. This is done effectively every few hours. Tweetily will share posts with your Twitter followers. This effectively helps in increasing engagement on older posts. Website speed is a huge ranking factor. Trust WP Super Cache as it functions ‘out of the box’ and ensures you a huge number of customisation options. The plugin enhances the overall speed of your website via compressing pages and using static HTML files. The heavier PHP versions can be avoided. If you find it tough to add interesting and attractive Mail chimp subscription forms to your website, this plugin is just for you. It will help you get away with the boring and hideous form. With Magic Action Box, you can easily add opt-in forms and customise them in any way you wish to! This helps enhance your rate of subscribers significantly!